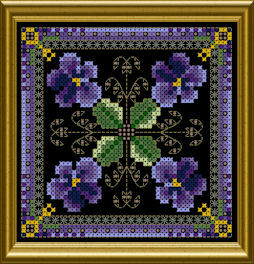 This small design features deep violet Pansies or Violets. The size of this mini project is 50 x 50 stitches. Love it..I made this ages ago into a biscornu for my stepdaughter….